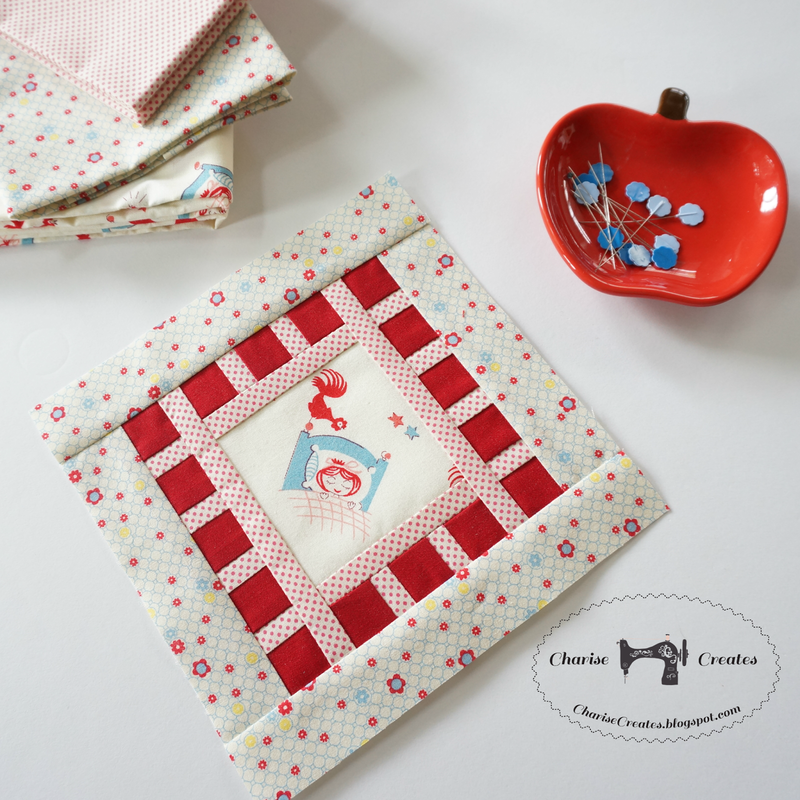 It is hard to believe that one year ago I signed up to share my Farmer's Wife Blocks for Kerry's Quilt Along! I started making farmer's wife blocks 5 - yes that is 5 years ago when the first quilt along group was formed on Flickr. 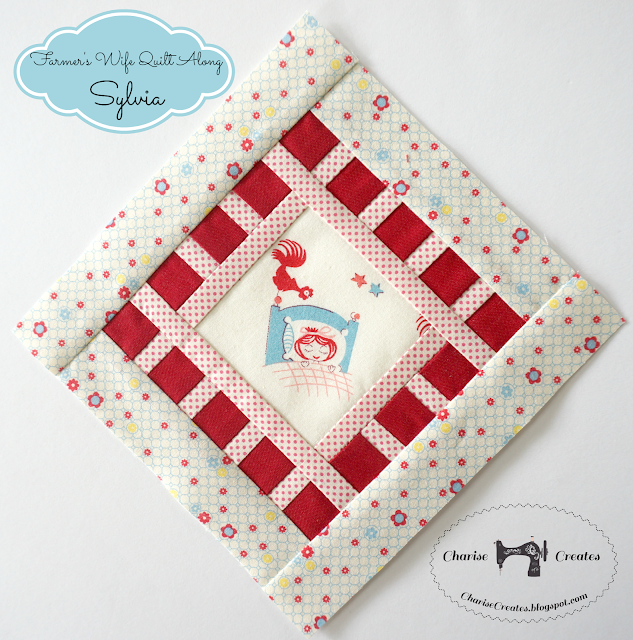 Today I am sharing my last block for the quilt along ~ Sylvia. It is an easy block to paper piece though I don't think I would want to make it any other way. The pieces are small and paper piecing allows for incredible accuracy! The fabric used for the center is Rise N Shine by Yuwa. The fabric has been out of print for some time. The dot is from Lecien. The floral border is also a Lecien print I found at Sunny Day Supply. 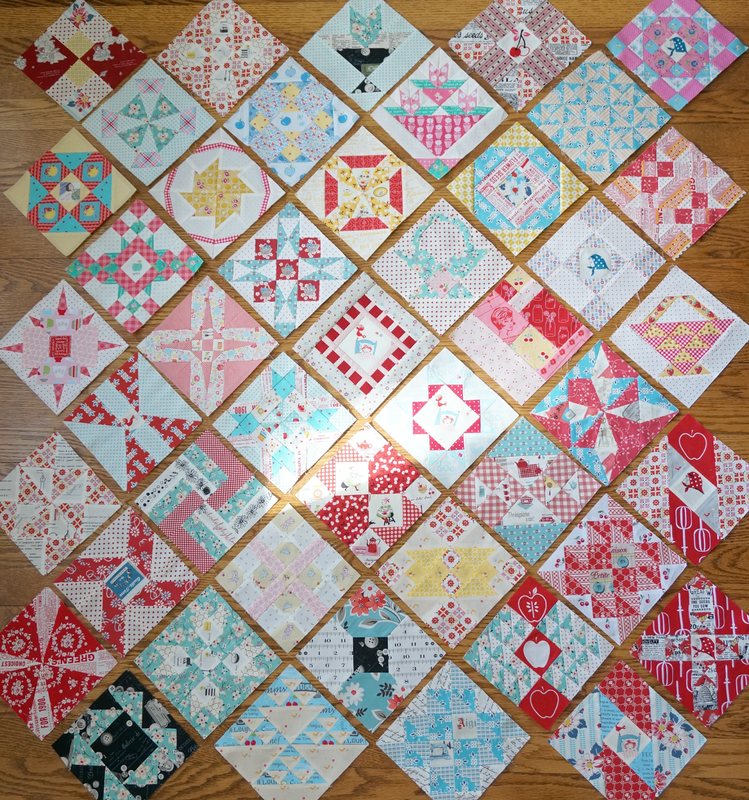 I think I am pretty close to having enough blocks to finish this quilt. One more row of four blocks and I will be done! Your blocks are gorgeous. Love the colours!